Camp is around the corner. Hopefully Brown shows up, our oline will need him, especially with Watson pushing for the job. Unity will be huge for these guys. I am super pumped to see what Watson brings to the table in our offense. I think he is going to do extremely well and will push real hard to start over Savage. I think he fits into our system perfectly. Edit: Just a reminder that this is for general training camp talk and things that aren't otherwise discussion worthy. If it can garner it's own discussion please start a new thread. This is coming from Webby who felt the forum as a whole fell into massive general topics too easilly. I'm looking forward to see which/if one of our WR not named Hopkins can step up. Also want to see what Covington, Reader, and Watkins can do. These two positions will be huge for our chances this year. I think our season rests solely on the standard of QB play we get this year. 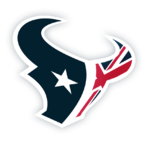 Sure we could limp to another AFC South title, although the Titans look strong, on the back of our defence. But we will never make it further than the divisional without a legit, or even semi legit, quarterback to lead us. Also looking for some bright sparks on the OL. Imagine practising against JJ, Clowney, Mercilus et al every day. I'm wanting to see how RB Tyler Ervin looks with a year in the system to lean on. It's pretty clear that he's going to be the Dion Lewis/James White guy in BOBs offense, the satellite back who should get chunk yards on short passes. We saw New England ride that to a SB win - and a dynamic RB in that spot will go a long way in opening up the rest of the offense. The first camp practice is over. Watson threw darts and was 9 of 10 on 20 yard routes over the middle to tight ends. Impressive. I know it's one practice but from the moment Watson arrived thru today he reminds me so much of Warren Moon when he was a rookie. Good lord he's losing it. Moon had a rocket for an arm. Watson, not so much. Such a horrible comparison. 16. There were no pads on, of course, but that doesn’t mean there wasn’t at least a little contact. I tried to watch as many of the candidates for the offensive tackle position. Kendall Lamm will face J.J. Watt every day and there’ll be no sterner test than that for the third-year player. Today, though, Lamm held his own and, no, not by holding his own teammate. Julien Davenport did not look like a rookie that last played games against VMI, Georgetown and Fordham. He moved, slid and punched as if he was a veteran just doing his daily work. When the pads go on, he’ll get tested by guys with more technique, power and finishing moves than he’s ever experienced, but he does not look like he’ll shy from the competition. 17. During pass rush 1-on-1s, Davenport finished a rep on the left side against Whitney Mercilus and then popped over to the right side to tangle with Eric Lee. Not many players can do it seamlessly, but Davenport did not look overwhelmed from either side. I'm most excited about the report on Kevin Johnson. We need him to be able to take that step forward after losing Bouye. I had high hopes for him last year but then the injury happened. Good to hear it doesn't seem to have stunted his progression too much. I'm happy to hear that Davenport is doing so well against Clowney. That's as tough as test as a T is ever going to get. I was convinced that Davenport was a project, but he might be in a two horse race with Lamm for the starting job. No, I get it. But the one v one matchups for OL/DL is an intense battle from the get-go, and Clowney has near superhuman strength and speed. I'd say that if he can get some solid reps in vs an elite talent such as Jadevion, I'm a bit more comfortable with him vs the likes of Brian Orakpo or Derrick Morgan. Doesn't mean he'll be an all star, just that he might not be as lost as you'd expect from a small school T.
I agree. And it does sound promising. Just feel like each one of these reports sounds like they're watching future hall of famers. The true test will come when they slip the pads on. As little American Football I played at university, the difference between pads and shorts is immeasurable. But you are right, it's nice to hear that he is obviously getting the mechanics right.